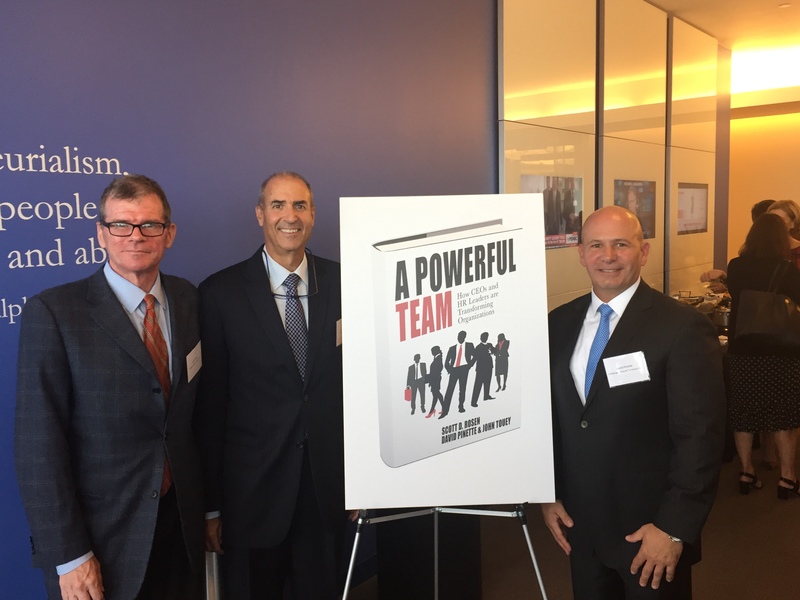 Close to 100 HR Professionals gathered together on May 17th at the Comcast Center in Philadelphia for the launch of the new book by Scott Rosen, David Pinette and John Touey. Attendees enjoyed the evening networking and received a copy of the just published book. A Powerful Team- How CEOs and their HR Leaders are Transforming Organizations illustrates how CEOs and their HR leaders work together to have a transformational impact on company results. Using practical, real life examples given in interviews with CEO/HR leaders from 13 well known organizations including Johnson Controls, Hewlett-Packard, and Virtua.